MOSCOW, February 7. /TASS/. 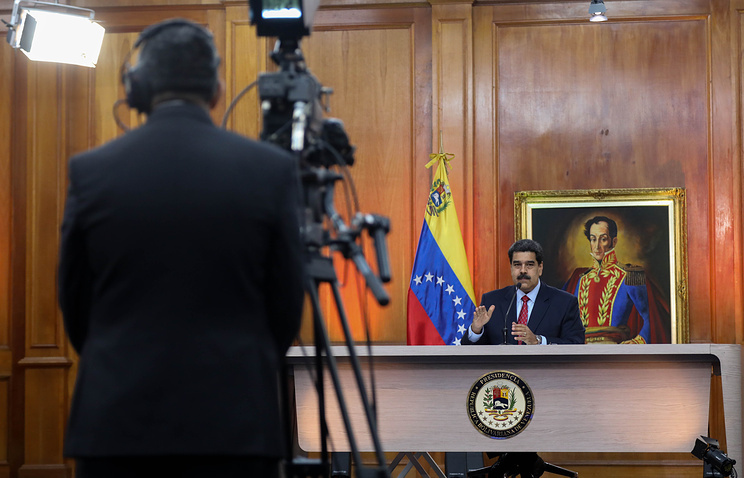 No work is underway in the Kremlin on the potential evacuation of President Nicolas Maduro from Venezuela because of the domestic political crisis, Russian Presidential Spokesman Dmitry Peskov told reporters. "This issue has not been raised," he said when asked about the Kremlin’s view about other countries’ proposals to guarantee immunity to the Venezuelan leader and evacuate him from the country. Moscow and Washington are not discussing the ways to settle the Venezuelan crisis and there are no contacts on this, Dmitry Peskov added. "There isn’t any exchange of views with the United States," Peskov said, answering a question on whether the contacts with Donald Trump’s administration on this score are possible. Moscow is not holding any consultations with other countries, including Uruguay, he added. Speaking on the exchange of views on the Venezuelan settlement, the Kremlin spokesman assured that Moscow would try to convince its foreign partners to keep a neutral stance. "An intensive exchange of views with all foreign partners is underway," he said. "During our contacts we stress that any foreign interference is unacceptable and that such meddling is malign and there may be catastrophic consequences of any military interference in this situation by third countries." Peskov emphasized that Russia’s position is well-known and Moscow has been consistently adhering to it. "The position of Kremlin remains unchanged," Peskov told journalists commenting on a recent Bloomberg report that Moscow allegedly started doubting the necessity of keep providing its support for Venezuelan President Nicolas Maduro.